Controlling possession early in the first half, Adi played a quick back-heel pass into the box for Valeri, who attempted to control the pass, but was knocked over by two Minnesota defenders, earning a penalty kick. Adi stepped to the penalty spot and placed his shot into the bottom right corner of the goal to give Portland a 1-0 lead in the 11th minute. 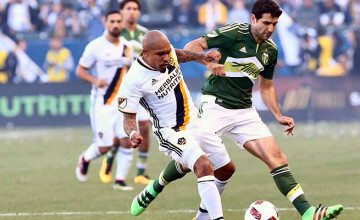 The Timbers doubled their lead in the 36th minute, connecting a series of passes near the edge of the box leading up to their goal. After receiving a pass from Adi, Valeri served the ball to Dairon Asprilla running down the right side of the box. Asprilla delivered a cross into the box for Melano open at the back post. Melano’s initial shot was saved, but Melano pounced on the rebound and converted from close range. Remaining on the front foot in the second half, the Timbers scored two more goals in a span of eight minutes as Nagbe and Valeri registered their first goals of the preseason in the 56th and 64th minute of the match. Working a quick combination near the edge of the box, Nagbe sent a short pass to Valeri, who played it back to Nagbe as he split two defenders, making a run into the box before dribbling around the goalkeeper to put the Timbers in front 3-0. 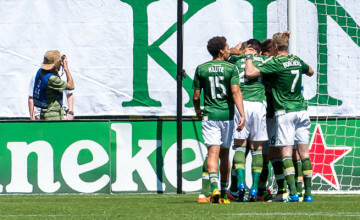 Valeri earned Portland’s second penalty kick of the match after Minnesota defender Kevin Venegas was sent off for a hard challenge in the box. Valeri converted from the spot with a low, well-placed shot into the bottom left corner of the goal to extended Portland’s lead to 4-0. Limiting United to just two shots on goal in the match, the Timbers registered their second consecutive clean sheet of the preseason. Portland continues play in the 2016 Simple Invitational on Wednesday, Feb. 24, against Vancouver Whitecaps FC at Providence Park; kickoff is scheduled for 7:30 p.m. (Pacific). The match will be streamed live on www.timbers.com. The Chicago Fire square off against Minnesota United FC in Wednesday’s first match; kickoff is set for 5 p.m. (Pacific). · Sunday’s match between Portland and Minnesota United FC marked the second game of the 2016 Simple Invitational. The Chicago Fire registered a 3-2 win against Vancouver Whitecaps FC in the opening game of the Simple Invitational. 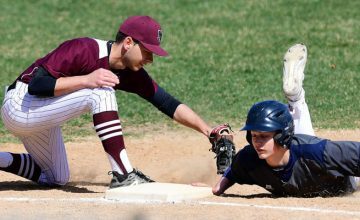 · The Simple Invitational, Portland’s annual preseason tournament, kicked off its fifth edition on Sunday. The round-robin style resumes Wednesday and concludes Saturday. · Fanendo Adi, Darlington Nagbe and Diego Valeri registered their first goals of the 2016 preseason on Sunday. · A total of five different players have registered goals for the Timbers during the 2016 preseason: Asprilla, Adi, Nagbe, McInerney (2), Melano (2). · There were two red cards issued in the match to Minnesota United FC, in the 45th and 62nd minutes. Quotes with reaction to the match from Timbers head coach Caleb Porter and select players can be accessed when ready by clicking here. Highlights of the match can be viewed by clicking here. The Timbers continue preseason play in the 2016 Simple Invitational on Wednesday, Feb. 24, against the Vancouver Whitecaps FC at Providence Park; kickoff is set for 7:30 p.m. (Pacific). Wednesday’s match will be streamed live on www.timbers.com. Minnesota and Chicago square off at 5 p.m. (Pacific).